Eusing Launcher supports Drag-Drop technique. Just an easy drag-drop will finish adding shortcut or deleting shortcut. 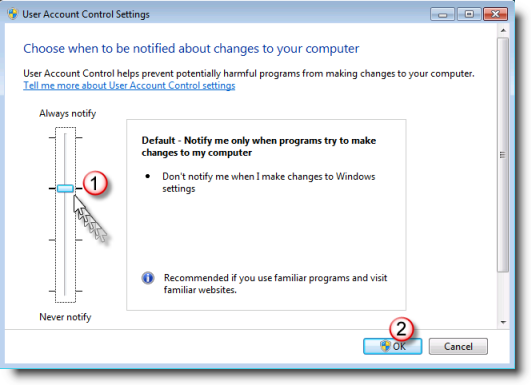 Because User Account Control (UAC) does not allow Drag & Drop operation in Windows 7 or Windows 2008 R2. You have to adjust UAC settings to never notify (Disable UAC) level. a. 1. 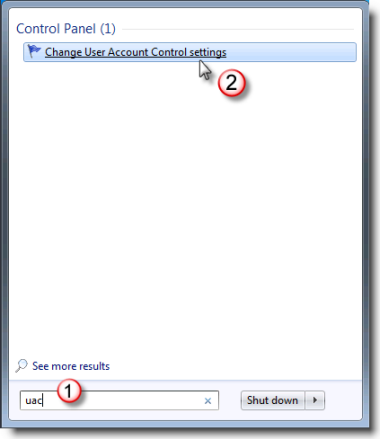 Open User Account Control Settings, type UAC in the Start Search box, and then click Change User Account Control settings in the Control Panel window. b. Move the slider to Never notify, and then click OK. Select the last setting (Never notify) to enable Drag & Drop operation. And you have to restart computer after setting.